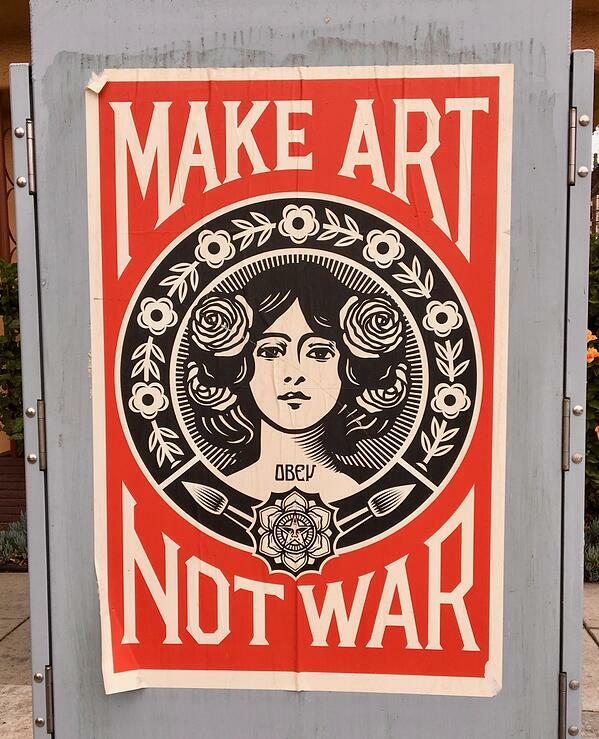 Shepard Fairey is one of the artists who have elevated street art to a serious cultural phenomenon. He often reuses iconic images in new compositions similar to the way advertisers use images for branding. I recently noted some of his signature characters in Austin street art. However, this piece wasn’t the reuse of a character or graphic. This new street art was the entire piece of art repeated - a recognizable classic! This particular composition has been around for a while. Anyone can go to the artist’s website and purchase it as a print. It is possible someone felt compelled to buy a print and paste it out on the street, but I seriously doubt it. The artist lives in this area of Los Angeles so I’m certain the placement here is purposeful. It occurs to me that the very reason I stopped to notice is the artist’s likely intent. Once again, taking a cue from advertising, the familiar image of a classic can sometimes be more noticeable than a string of new originals. 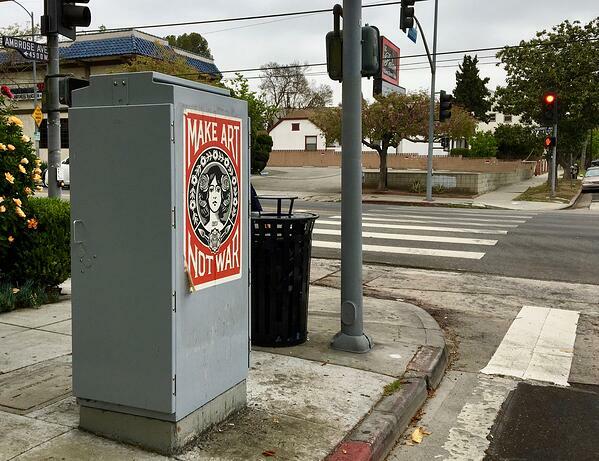 This installation was located at the corner of Hillhurst and Ambrose Ave in the Los Feliz neighborhood in Los Angeles.